This is the annual fundraising event for the University of Saskatchewan Cross Country team. This is the 10th Anniversary Event! All courses will begin in front of Brainsport (616 10th St. E), turn north (right) on Broadway, continue over the bridge and onto 4th Ave. S for one block. 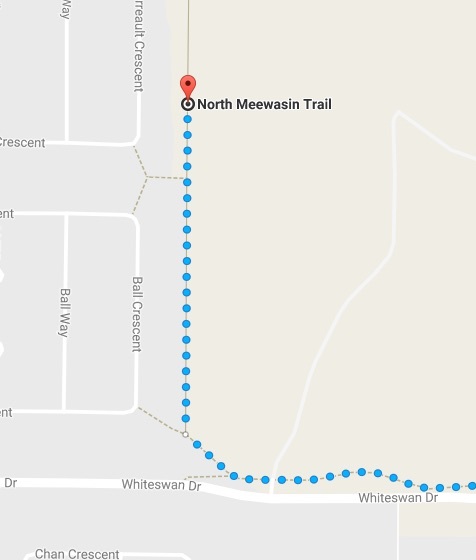 Runners will turn right on 20th St. E for one block, entering the Vimy Ridge park and onto the Meewasin trail. 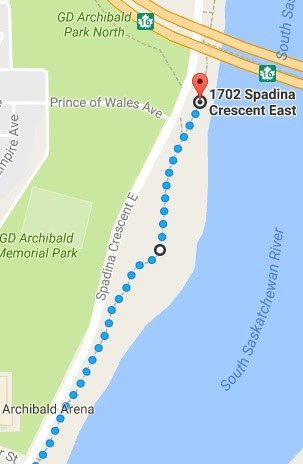 At the trail, runners will go Northeast (left), behind the Bessborough on the trail. 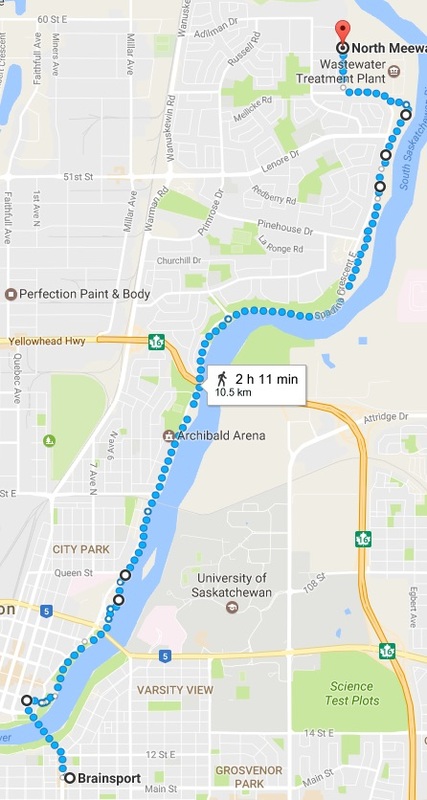 5 km Turn Around Detail:5 KM Runners will turn around at 2.5km (close to the Shakespeare on the Saskatchewan grounds) and follow the same course back. 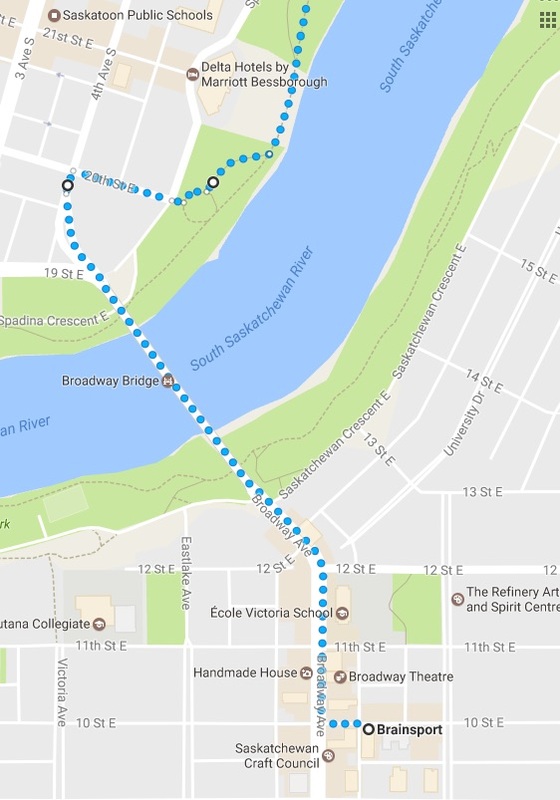 10 KM Runners will turn around at 5 km (close to the 42nd Street Bridge) and follow the same course back. We have a limited number of running tights from Mizuno for the first 300 registrations. Alternately, you can choose to get a long-sleeved technical shirt instead. Tights size selection is limited. 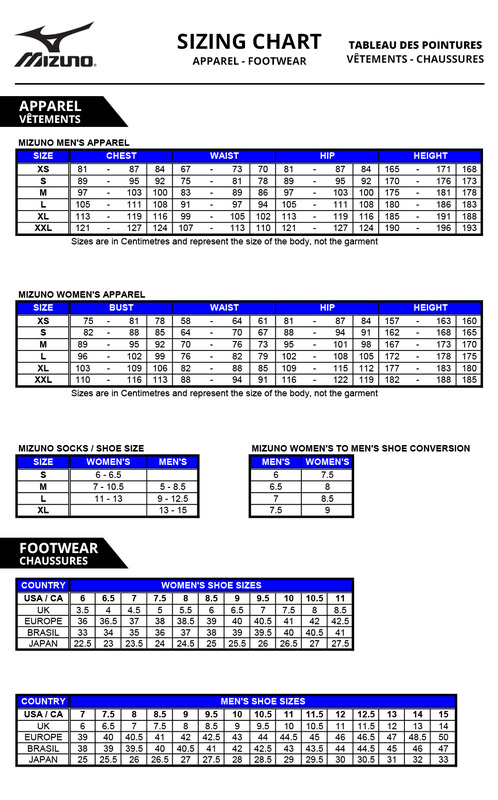 See sizing chart for tights here. We have sizers at Brainsport, so come down to try them on. T-Shirts from previous years will also be available at Race Package Pick-up. There is a cap of 400 participants, so do not delay! We are spending more on our race garment instead of finisher medals this year, based on feedback from last year's surveys. Wear your bib (number) on the front of your body (torso is best), on an outside layer, so that you can find your race pictures more easily, and so we can more easily get your race results posted. 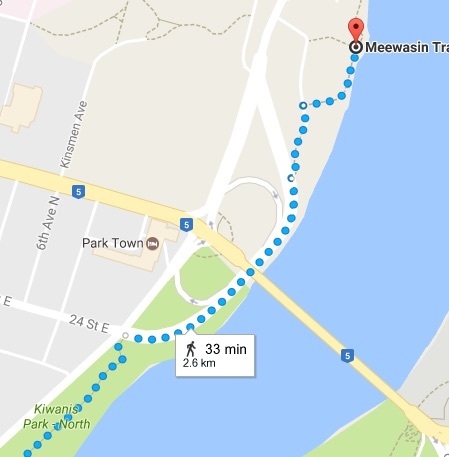 Be courteous on the Meewasin Valley Trails; other people will also be using them. If you wear headphones, consider only using one earbud so that you can hear instructions and runners who might be coming up behind you. If you are running in a group, please use "columns" where you form a line and are only 2 side-by-side. We will have runners turning around at three points in the race (2.5 km, 5 km and 10.5 km), who will be retracing their route. The trail is relatively narrow for two-way traffic. We will have water, gatorade, oranges & bananas, and at the 10km point some gels as well. There is chip timing this year!